Coastal dunes and sand areas are reported to be among the habitats most invaded by alien species in Europe. 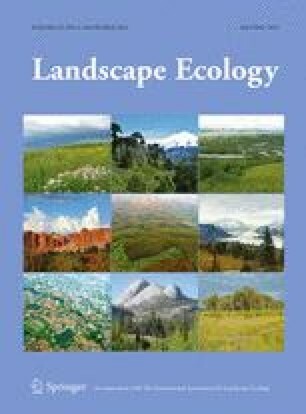 Landscape pattern could be a significant driver in invasion processes in parallel with land-use legacy. Fragmentation of natural habitats combined with the availability of propagules from the surrounding matrix may enhance the invisibility of ecological communities. Based on multitemporal land cover maps (1954–2008) and a floristic database, we analyzed how habitat fragmentation, propagule pressure and land-use legacy have affected alien plants’ presence and richness on natural dune patches along the Lazio Coast (Central Italy). Floristic data were derived from an existing geo-database of random vegetation plots (64 m2). A set of landscape patch-based metrics, considered to be adequate proxies of the main processes affecting alien invasion and richness, was calculated. First, we fit a generalized linear model (GLM) with binomial errors to assess which landscape metrics are influencing patch invasion. Second, we extracted invaded patches and, with GLMs, we investigated how landscape metrics affect average alien species richness. Alien invasion and alien richness seem to be affected by different processes: although alien invasion of each patch is strongly associated with its land-use legacy, the richness of aliens is more affected by landscape fragmentation and by the propagule pressure to which patch is exposed. By integrating spatial and temporal landscape metrics with floristic data, we were able to disentangle the relations of landscape fragmentation, propagule pressure and land-use legacy with the presence and richness of alien plants. The methodological approach here adopted could be easily extended to other alien species and ecosystems, offering scientifically sound support to prevent the high economic costs derived from both the control and the eradication of aliens. The online version of this article (doi: 10.1007/s10980-014-0074-3) contains supplementary material, which is available to authorized users. This work was partially funded by ENVEUROPE project (LIFE08 ENV/IT/000339).